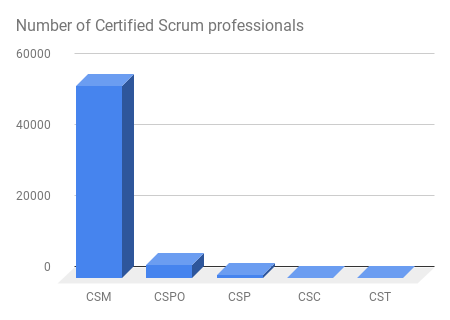 How many registered Certified Scrum people? There is some double counting, but it’s not very significant. For example, most CSTs are also CSPs and CSMs, and they are counted in each category.